Today only, Best Buy has the SanDisk Cruzer Glide 64GB USB Flash Drive Sale Priced at $14.99 with Free Shipping. Or buy online and pickup at Best Buy. Rated 4.7 out of 5 stars. Sells for $26 and up shipped at amazon from a 3rd party. 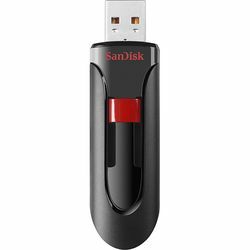 Also available: SanDisk Cruzer Glide 16GB USB Flash Drive $5.99, Free Shipping.